The Algonquin Resort St. Andrews by-the-Sea, Autograph Collection boasts an outdoor pool, hot tub, fitness centre and a gourmet restaurant. Elegantly decorated rooms feature free Wi-Fi access and a flat-screen cable TV. Canada's only Marriott Autograph collection hotel/resort. 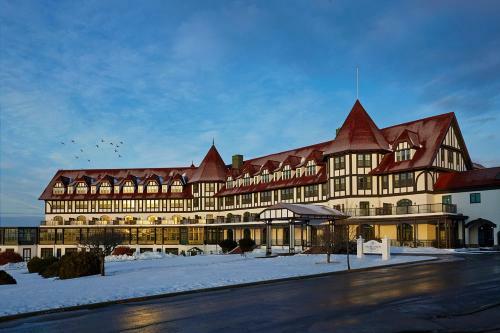 The Algonquin is one of Canada's most luxorious and legendary resorts. Rich in history meticulously restored to its original splendour, and complete with every modern comfort you could desire.This year round destination truly offers the best of the past with contemporary amenities.